Malaysia has asked that a soccer game against North Korea, scheduled for later in the month, be moved from Pyongyang to a neutral venue. The request came after relations between the countries worsened following the death of King Jong-nam. "The government have asked us not to go to Pyongyang," Football Association of Malaysia (FAM) General Secretary Hamidin Mohd Amin told Reuters, confirming a request had been made to the Asian Football Confederation (AFC). "We asked the AFC today if we could play in a neutral venue. We expect a decision by the end of this week." The AFC confirmed the request had been received but did not give any further information on the game, which is scheduled to take place on March 28 and will begin the final phase of qualification for the 2019 Asian Cup Finals which will take place in the United Arab Emirates. An alternative venue has yet to be put forward for the game. In 2008, Shanghai was used as an alternative home venue for North Korea in a FIFA World Cup qualifier against South Korea. 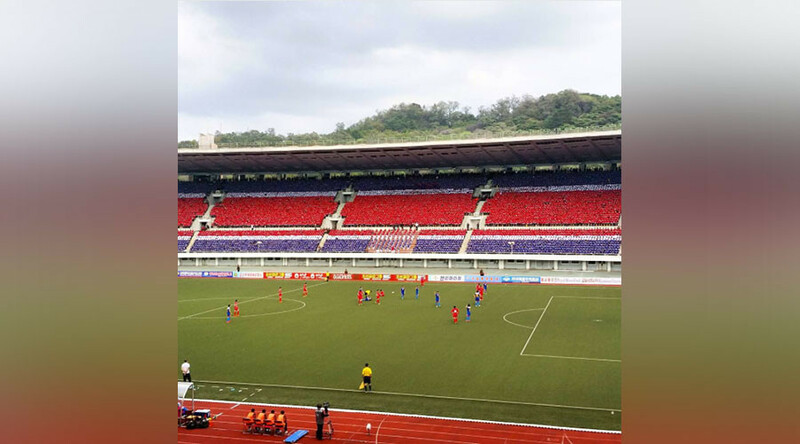 The decision was made after North Korean authorities refused to allow the South Korean anthem to be played in Pyongyang. Tensions between Malaysia and North Korea have been strained following the death of Kim Jong-nam, the half-brother of North Korean leader Kim Jong-un. North Korea claim Malaysian authorities cannot be trusted in their investigation in which several North Koreans are wanted for questioning.